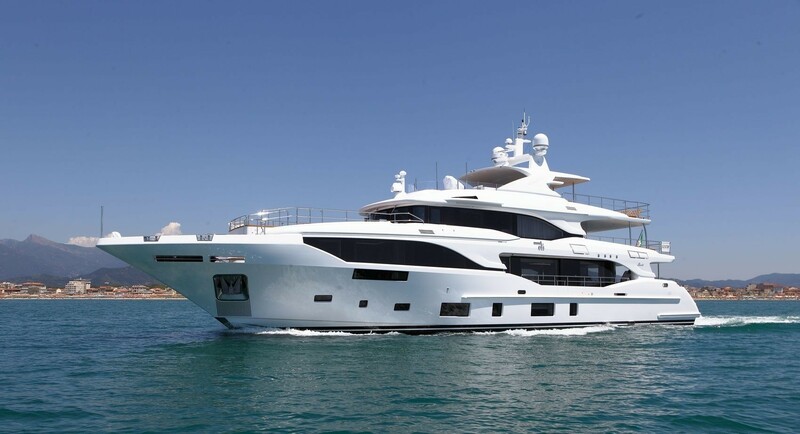 Motor yacht OLI (ex Mediterraneo 116) is a striking 2016 vessel, built by the renowned Italian shipyard Benetti, of the Azimut|Benetti Group. 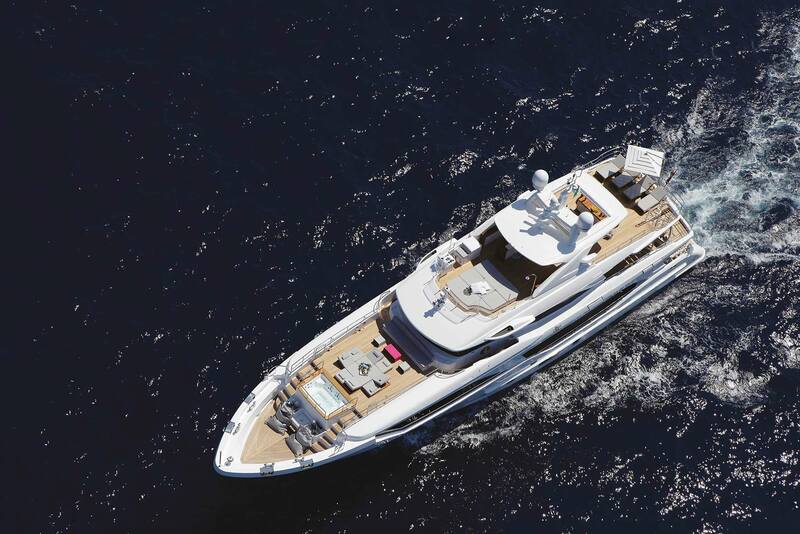 Belonging to the Displacement Class range, superyacht OLI was created with pleasure, emotion and innovative exterior layout in mind. 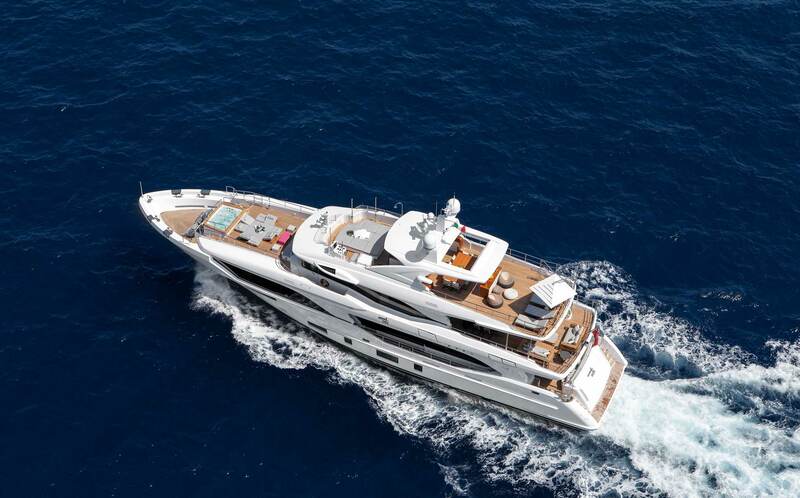 OLI by Benetti boasts elegant, smooth and flowing lines, characteristic of the Benetti family of vessels. 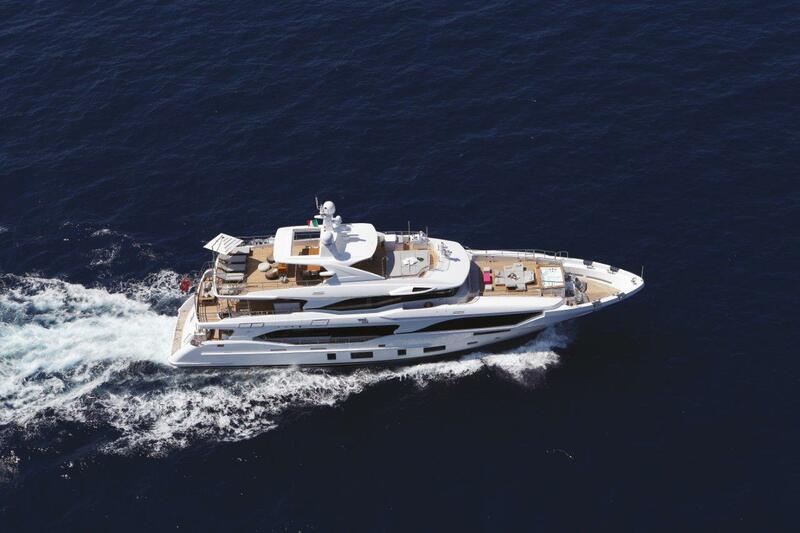 Her superstructure exudes the feeling of flow and luminosity. The various socialising areas flow without any distraction in the lines to the yachts elegant and pure design. 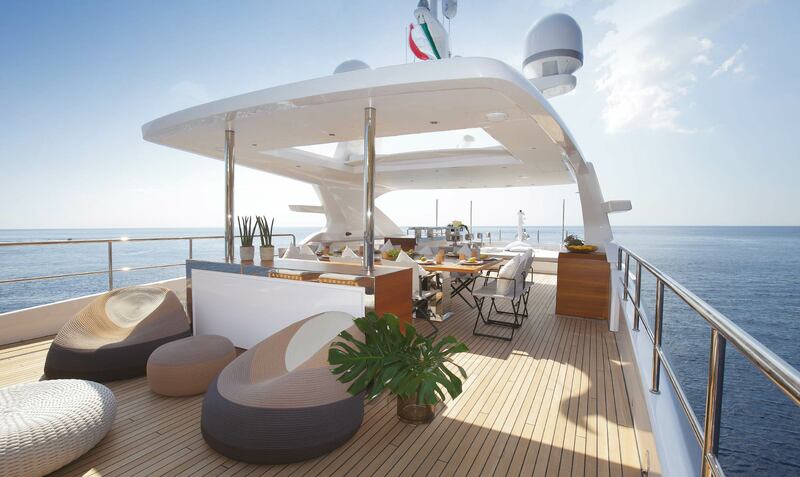 The main deck features a spacious six-metre wide cockpit, offering unmatched panoramic views of the yachts surrounding, as well as a very intelligent use of flexible spaces. 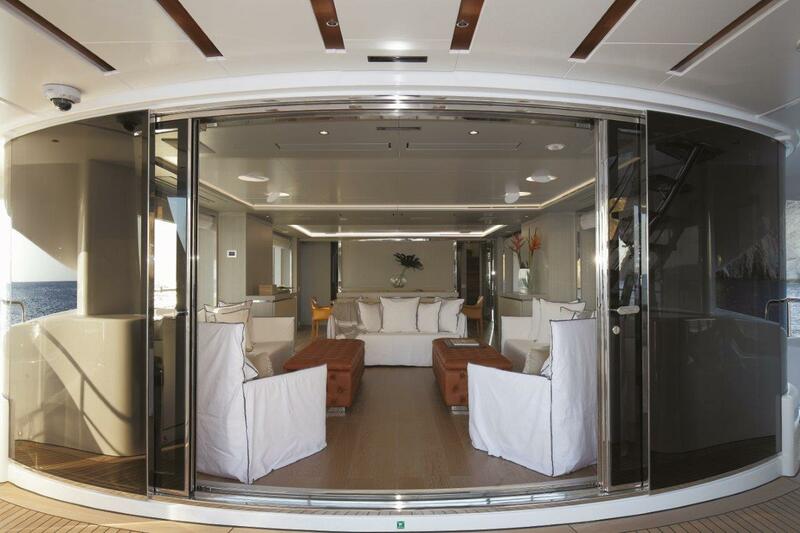 There are two-metre-wide crystal doors taking guests through to the main saloon, where further three-metre-tall windows provide plenty of natural light. 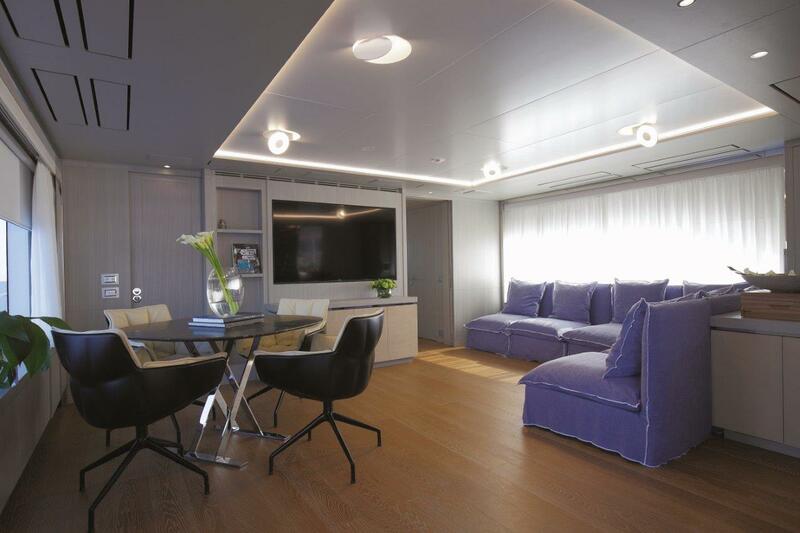 The saloon was furnished with three settees, two laterally facing each other and the third placed forward next to the portable storage space. 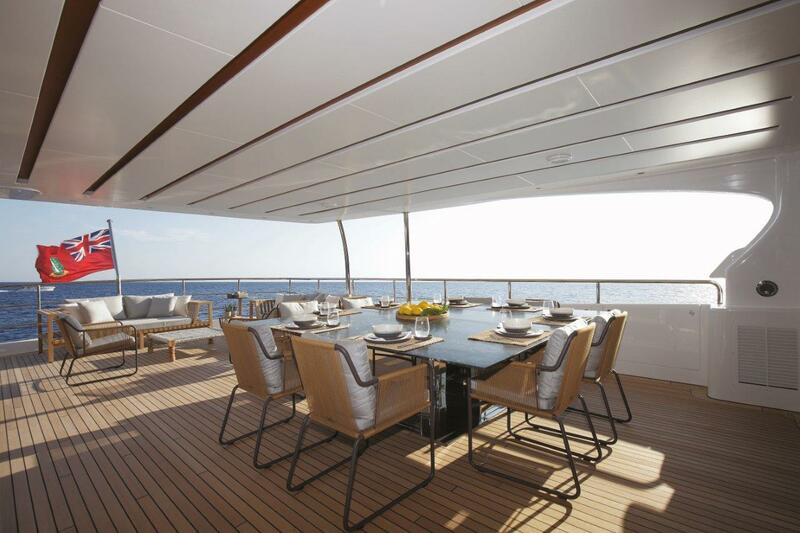 The dining area in the main saloon features a spacious dining table for twelve guests and the French windows in this area lead onto the exterior walkway that, thanks to its width, can also be used as a balcony. 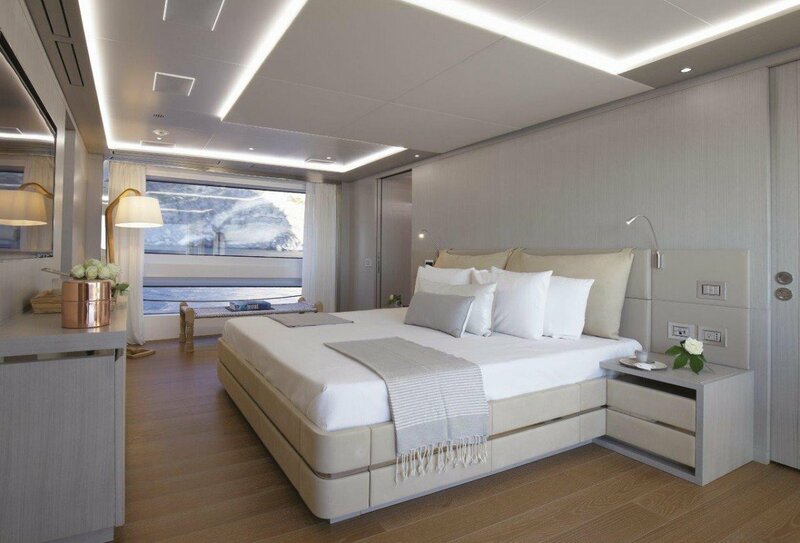 The master stateroom is situated further forward on the main deck, together with the Owner's study with huge windows. 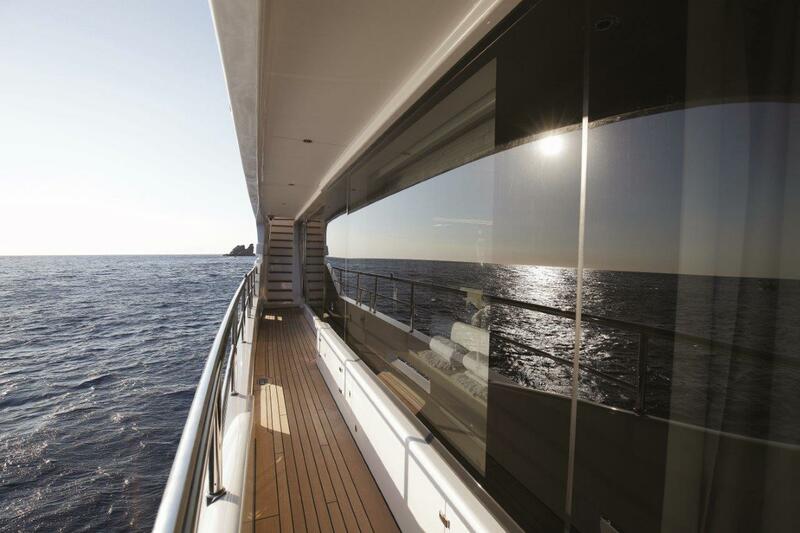 The owner’s cabin is full-beam, fitted with full-height glass windows on both sides. 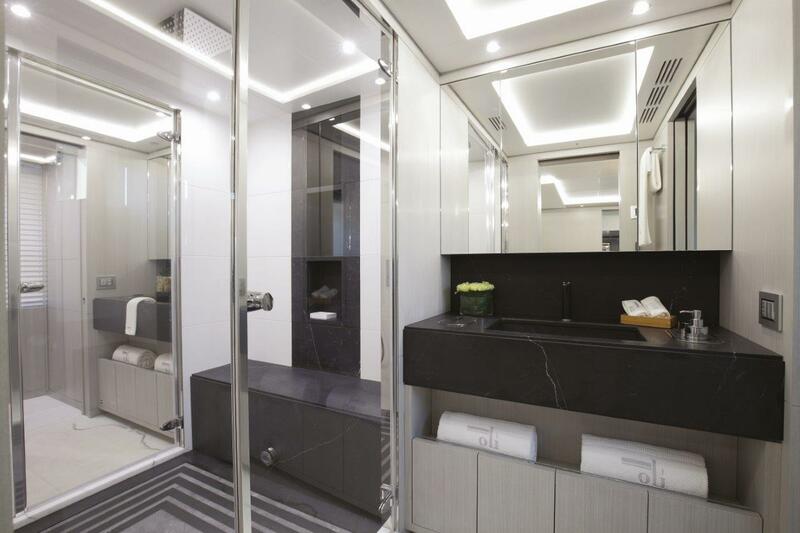 There are two bathrooms (his and hers) in the suite. 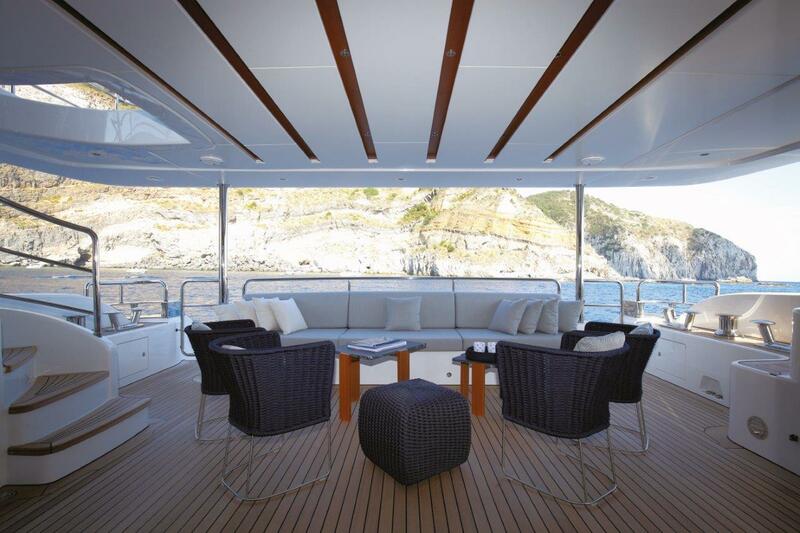 OLI's lower deck has four twin cabins and two twin cabins with identical berths, each with its own en-suite bathrooms. 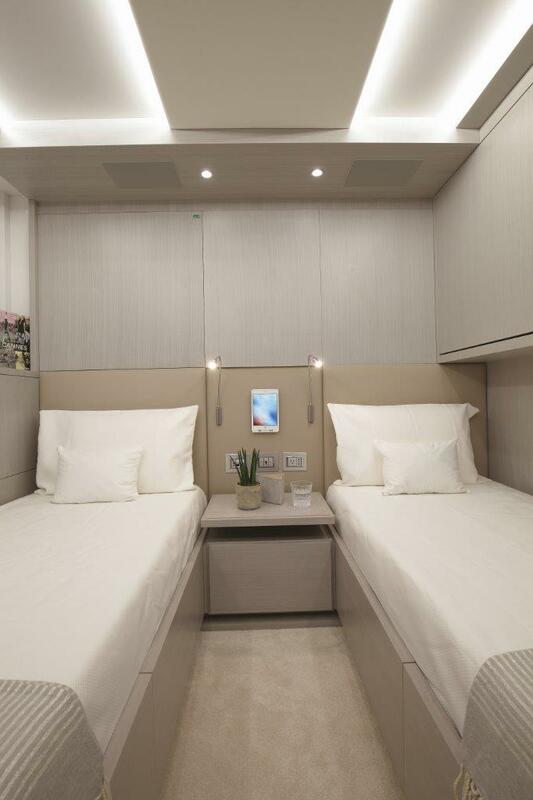 Two of the twin cabins are VIP and are located aft. 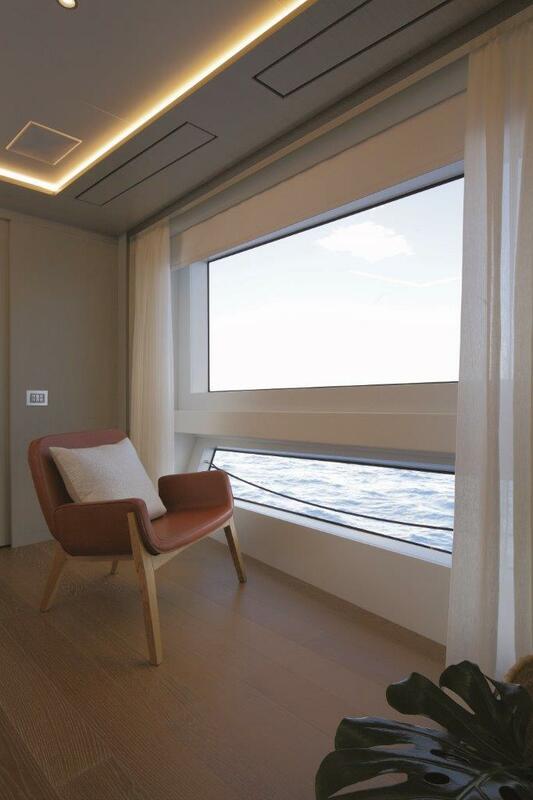 Each guest stateroom has large windows, providing guests with great views of the sea. 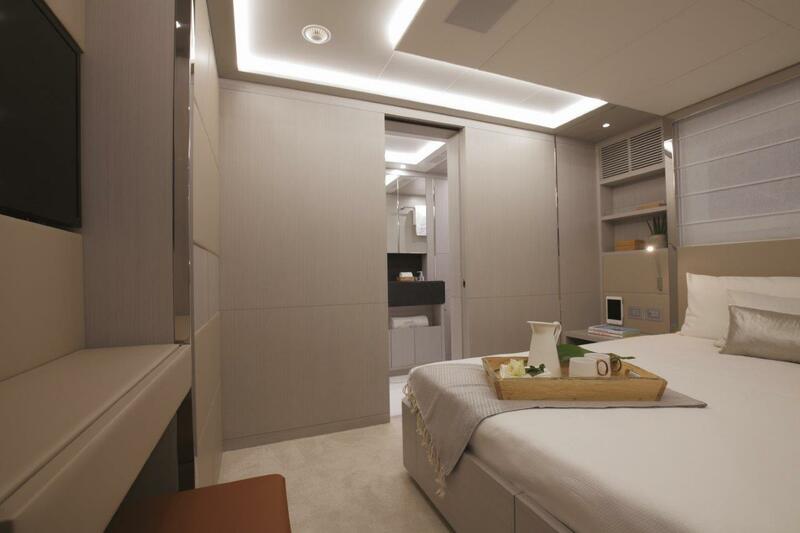 Crew quarters with seven berths are located forward on the lower deck with three double cabins and a captain’s cabin. 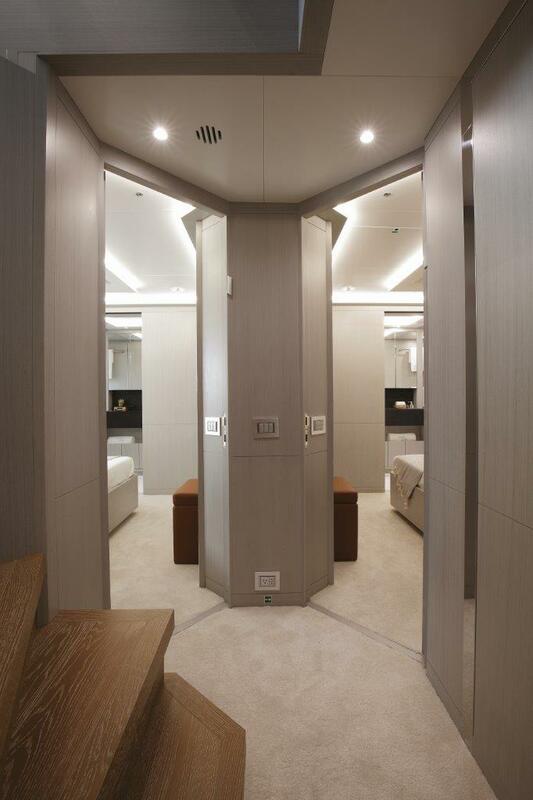 Stowage space and the audio/visual system are situated under the main stairway, completely freeing up the guests’ wardrobes. 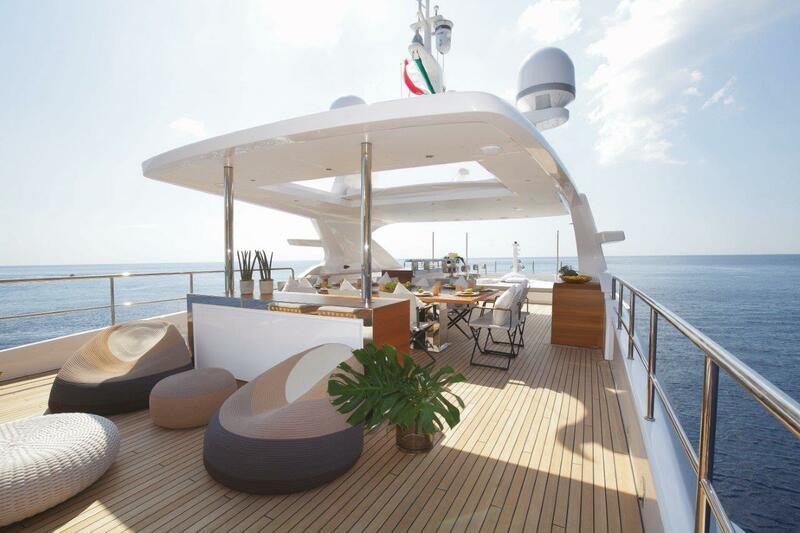 The upper deck is represented by a spacious open area on the foredeck, with a swimming pool. 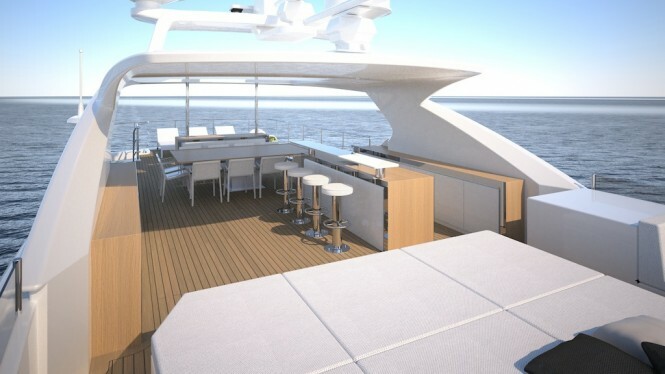 Forward is a large bridge deck, while astern is the sky lounge located. 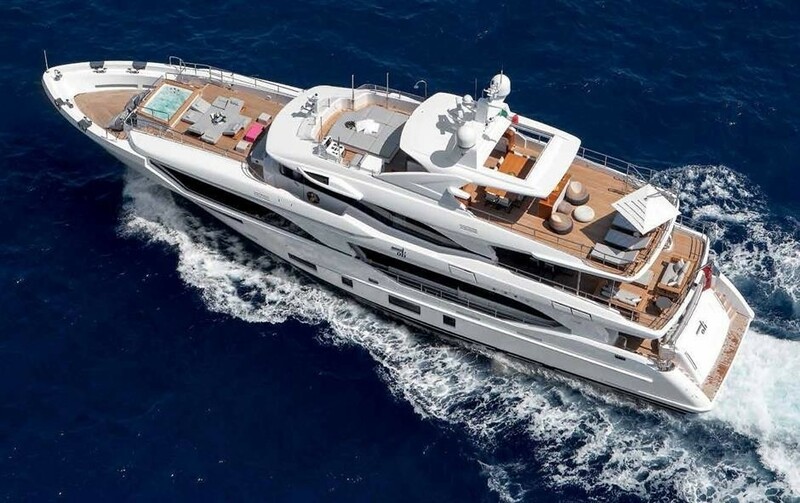 The vessel provides great access to the sea, with the lifeboats completely hidden. 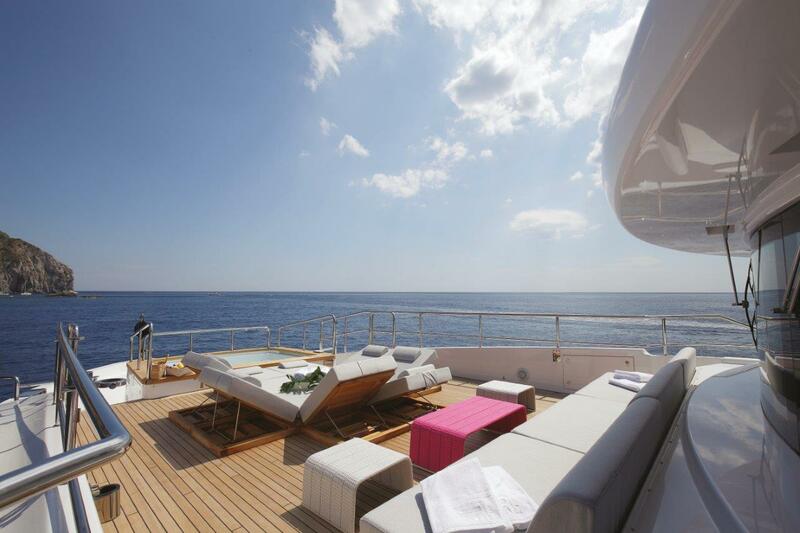 The sun-deck offers amazing 80 square meters of open space. 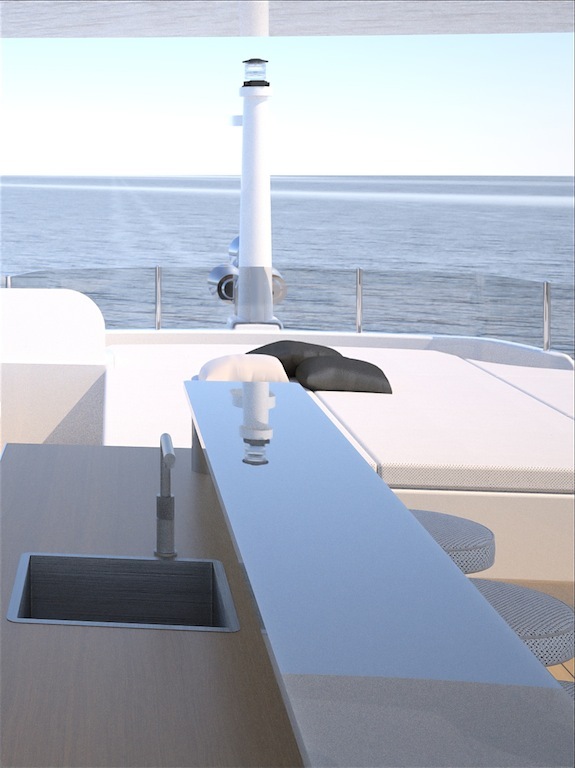 The roll-bar is an integral part of the furnishings and storage space is accessible to the guests. 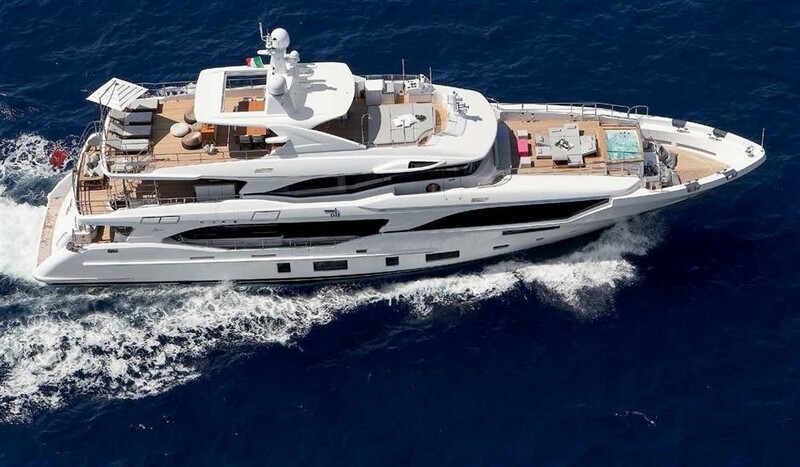 Mediterraneo 116 is powered by two Man V-12-1400 engines of 1,400 hp each, providing the yacht with a top speed of 15 knots. 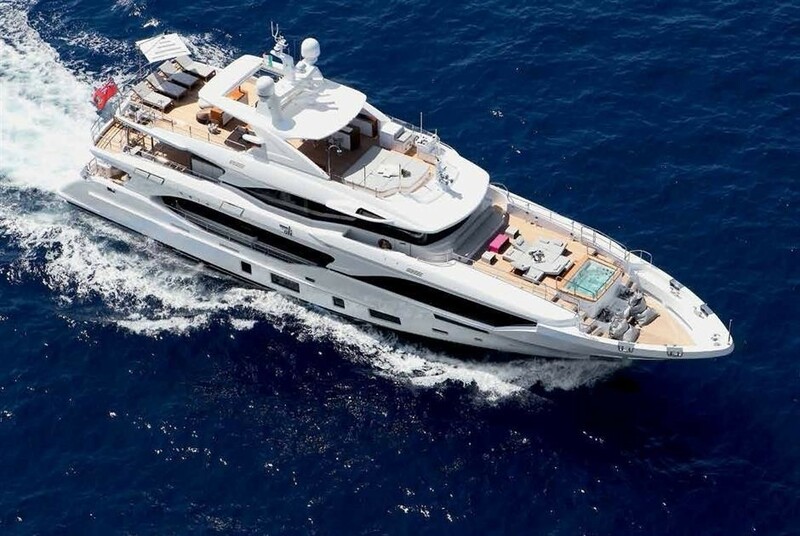 At ten knots she has a cruising range of 3,000 nautical miles. 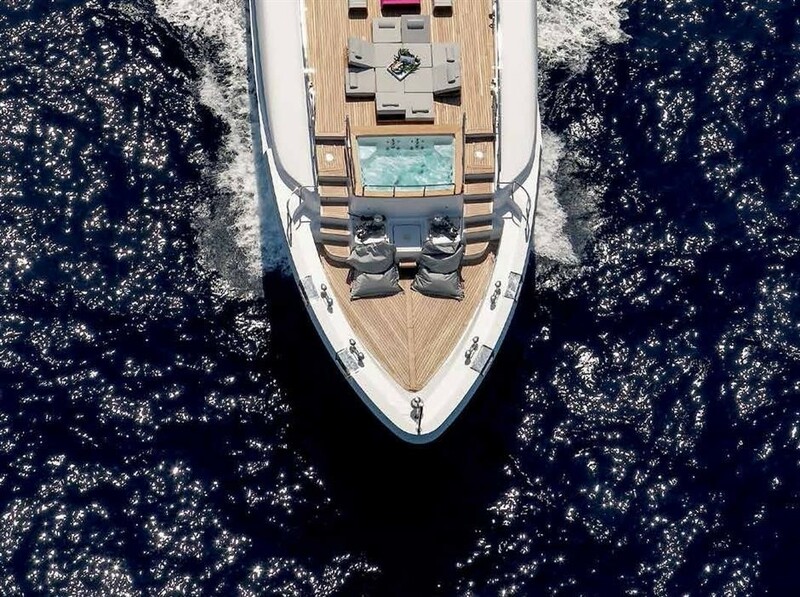 'Yacht OLI is a 35.5 meter GRP yacht with sleek lines that seamlessly marries over a century of know-how gained by the Viareggio Shipyard with the most sophisticated onboard design and technology innovations. 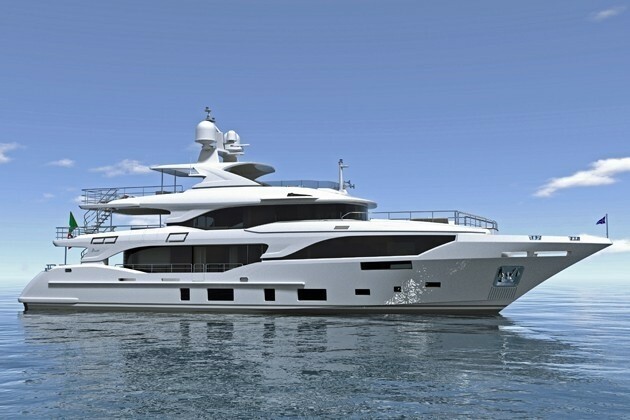 An even more “dazzling” yacht than ever, if possible, because one of the dominant features of the new design is light. 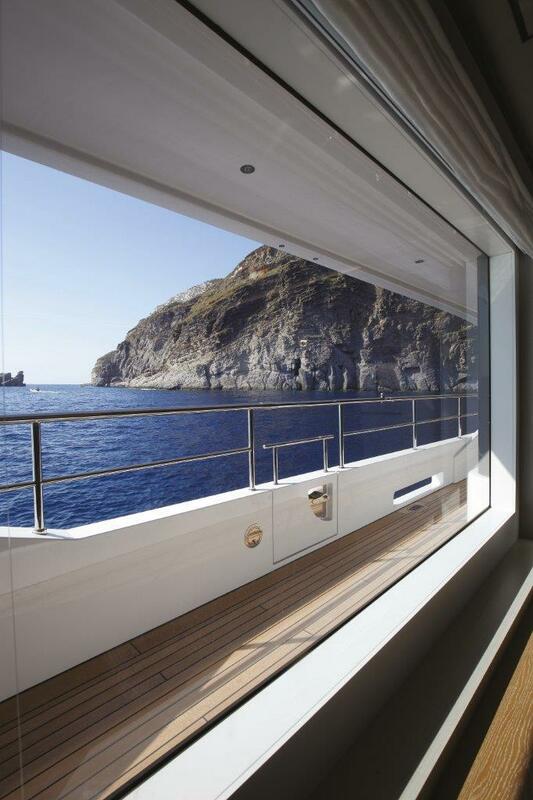 Natural light, of course. 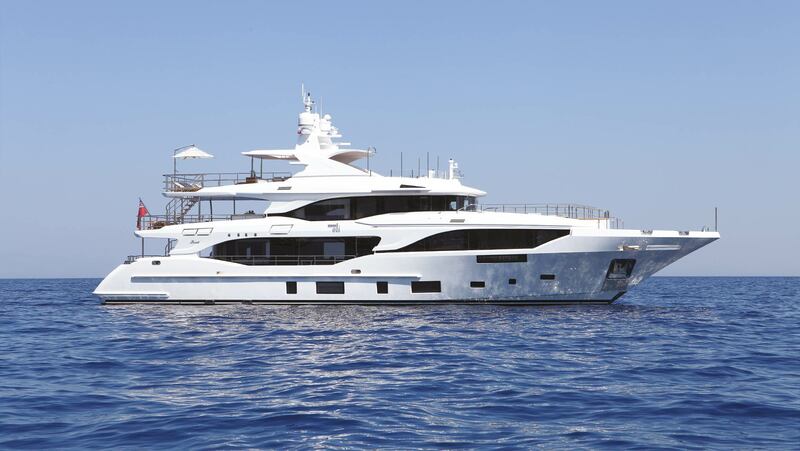 Meticulously designed surfaces, impressive three-meter-long windows and a big crystal glass door, all flood Mediterraneo 116’ with light, consolidating and amplifying the feeling of wellbeing on board. 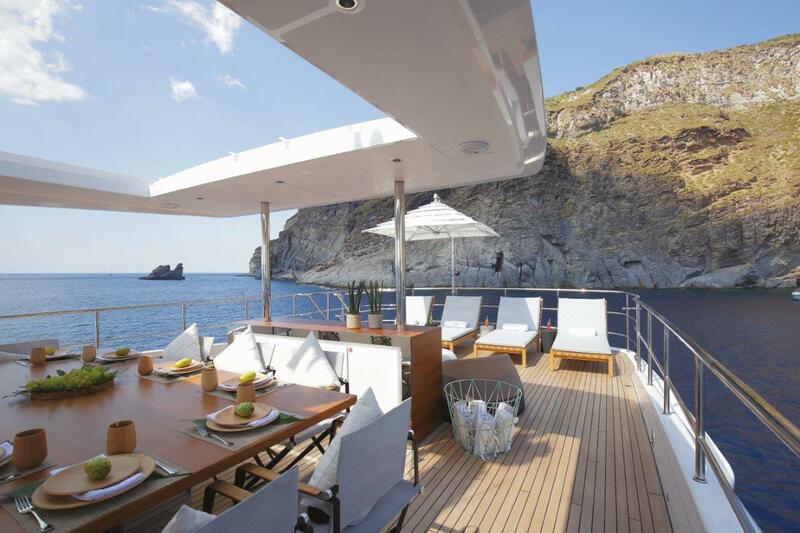 This sense of total wellbeing represents the focus of all exterior design work by Giorgio M. Cassetta Design. 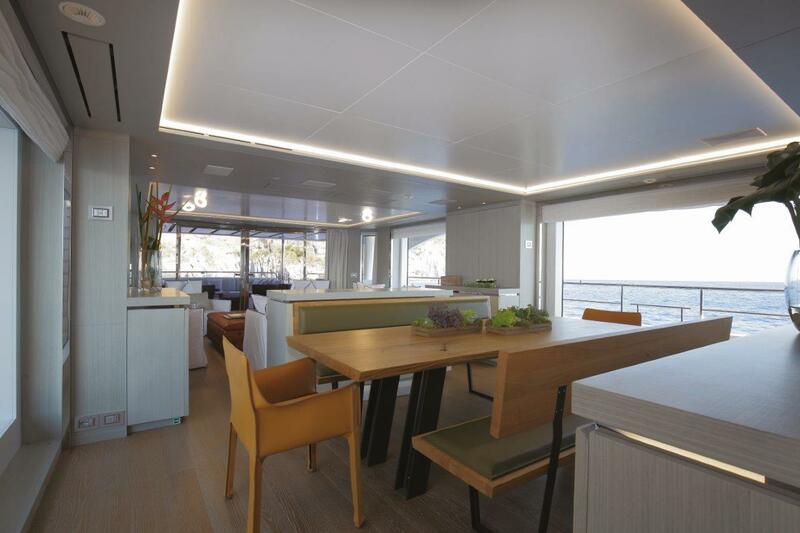 “The usability of the space on board and the solutions proposed”, explains architect Giorgio M. Cassetta, “are comparable to those typically found on much bigger yachts. 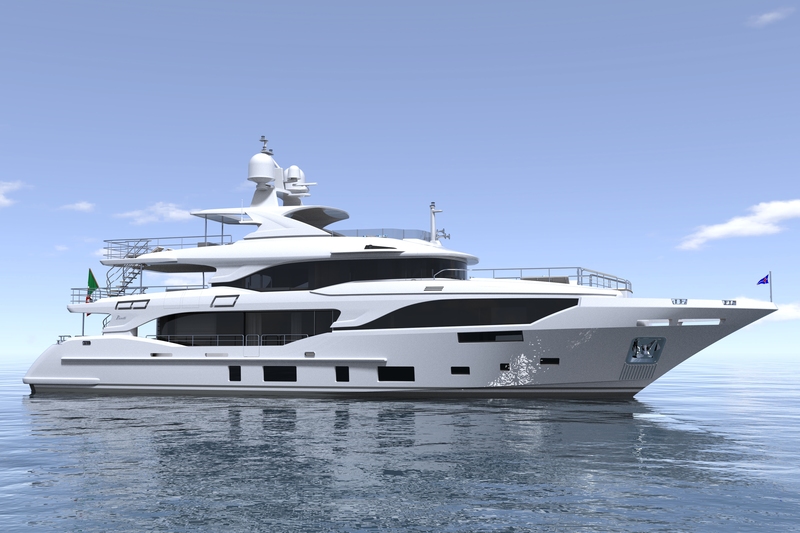 We have given Mediterraneo 116’ classical lines and proportions, but with a contemporary twist, because we wanted to create a yacht conceived to tackle future challenges, but without betraying the spirit of Benetti’s most glorious past projects”. 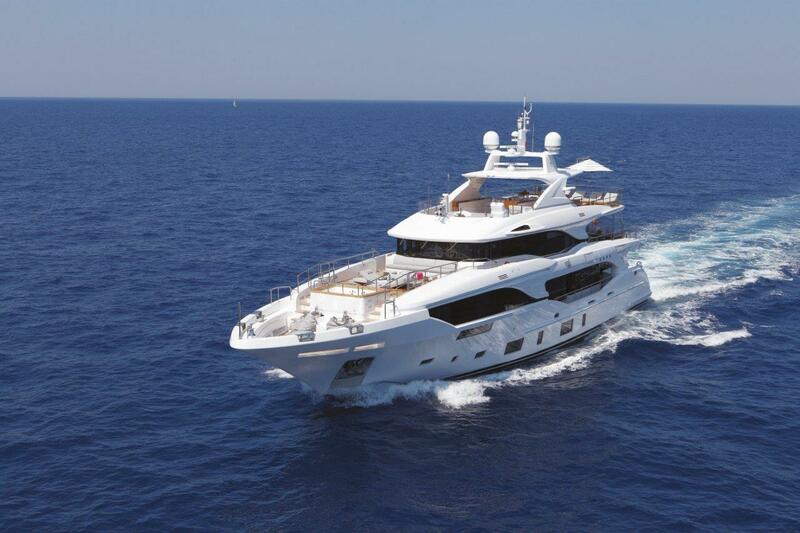 The main deck showcases all the skill and flair of Benetti. 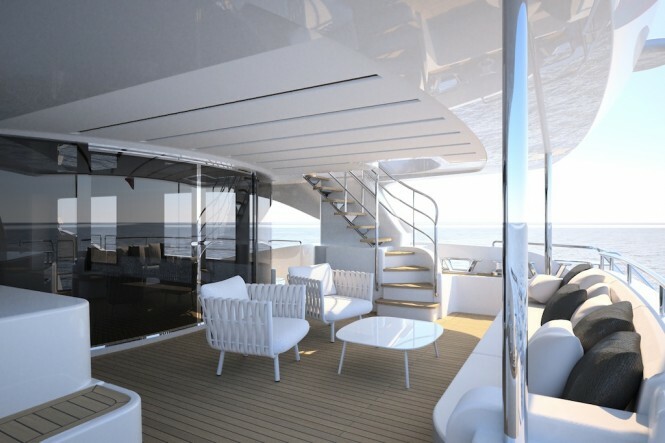 The innovative distribution of space subverts the cockpit’s traditional DNA, offering a remarkably broad and seamless view of the sea, both from the sidewalks and through the salon. 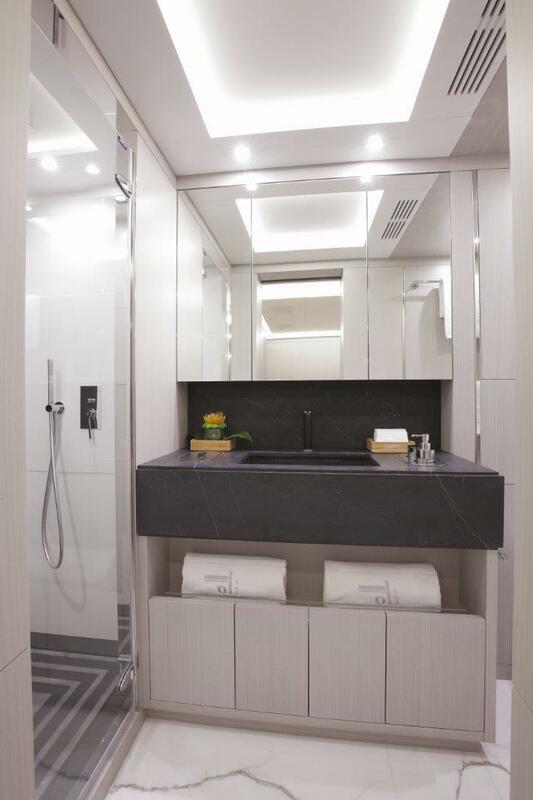 This new ergonomics make the spaces more liveable from every perspective. 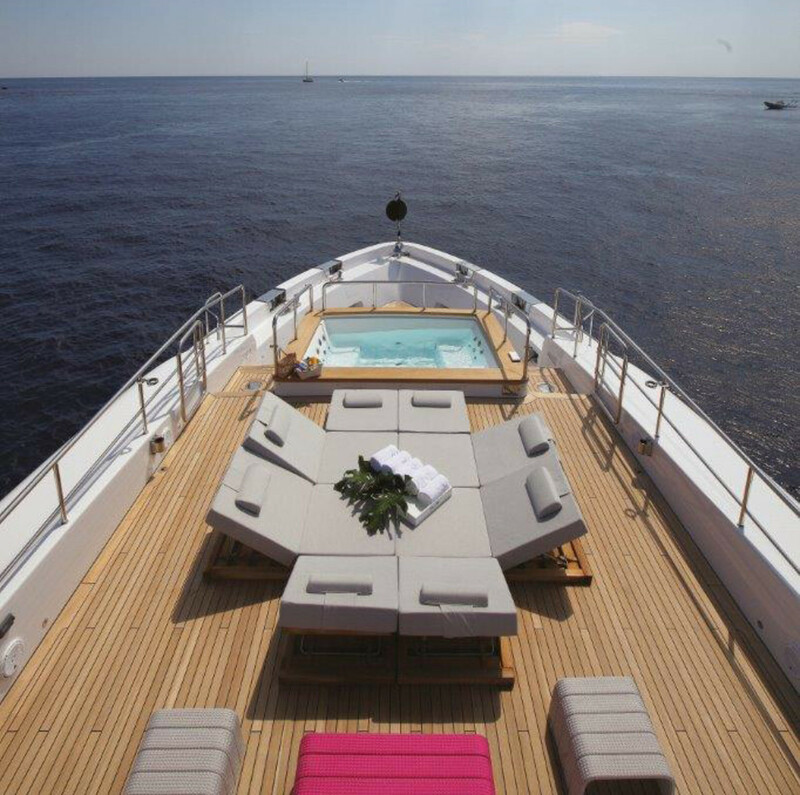 Here too, like the main deck, every single centimetre is part of the all-embracing plan to provide unmatched service and total privacy. 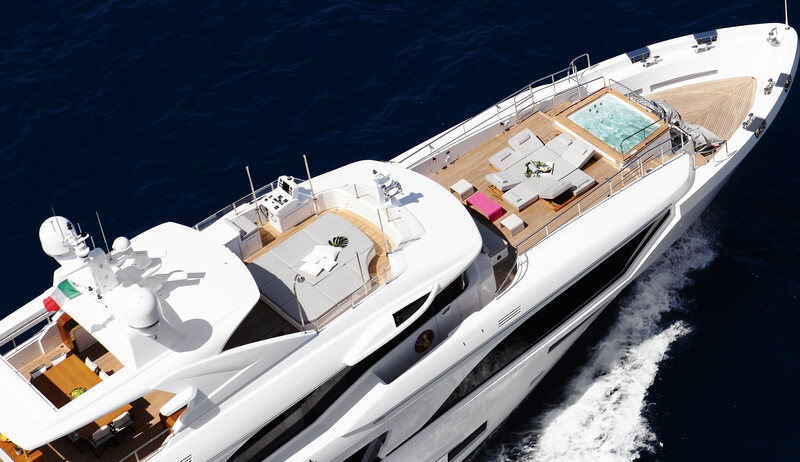 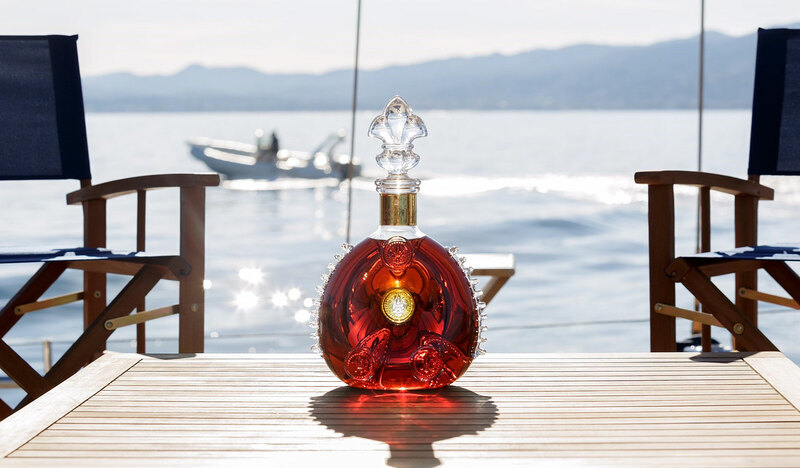 To achieve this, the crew can move freely around the yacht using a passageway reserved exclusively for them, without disturbing the owner or their guests. 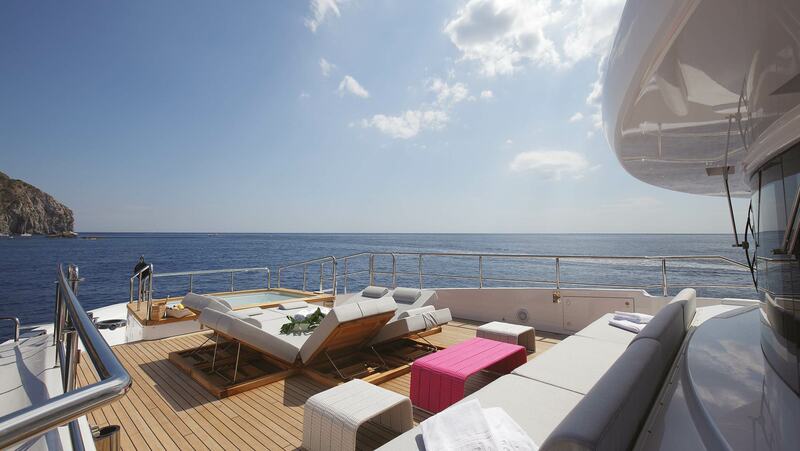 Finally, eighty square meters are dedicated to the sundeck, which has a remarkable useful length of 16 meters. 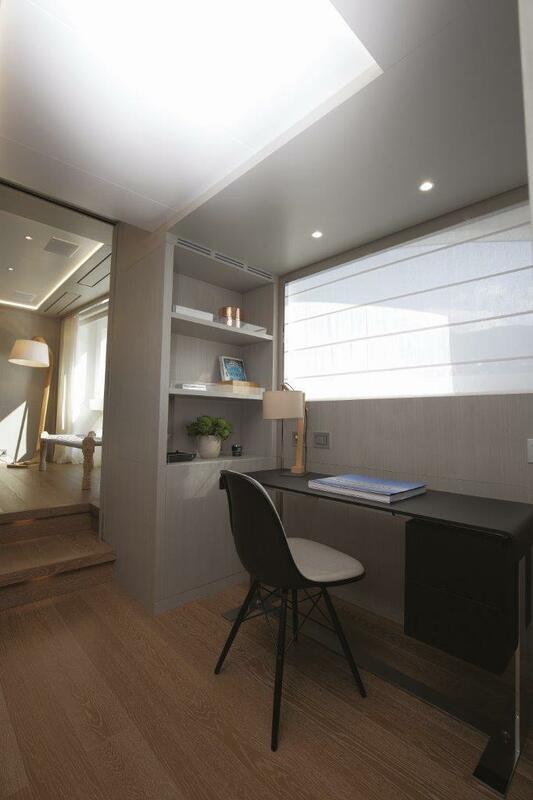 The roll bar is integrated in the furniture and the storage compartments are, once again, entirely available for use by guests. 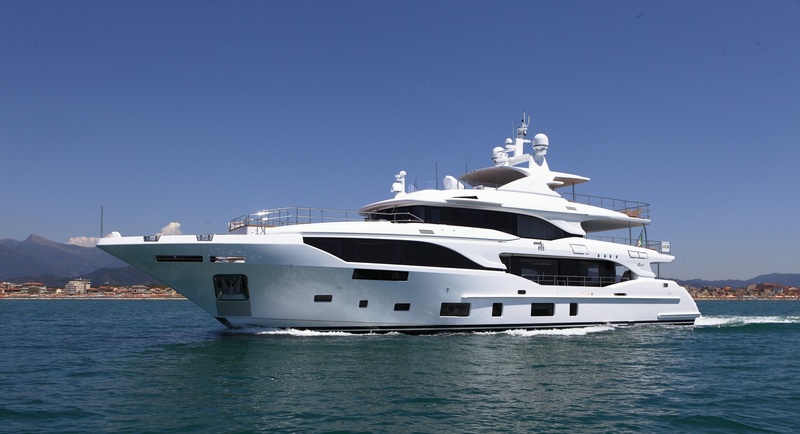 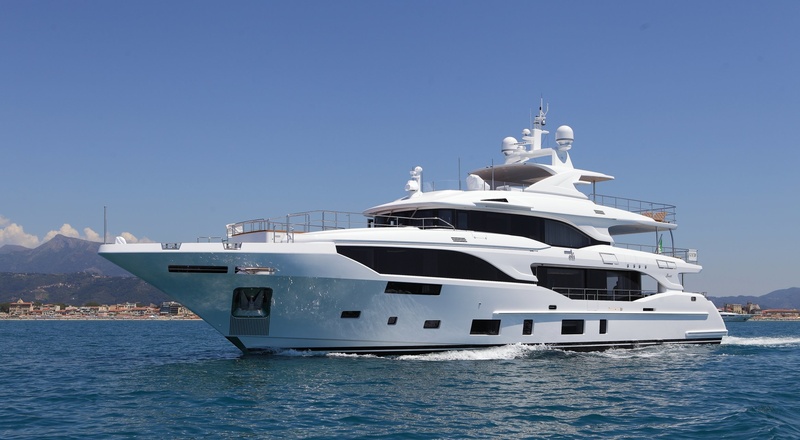 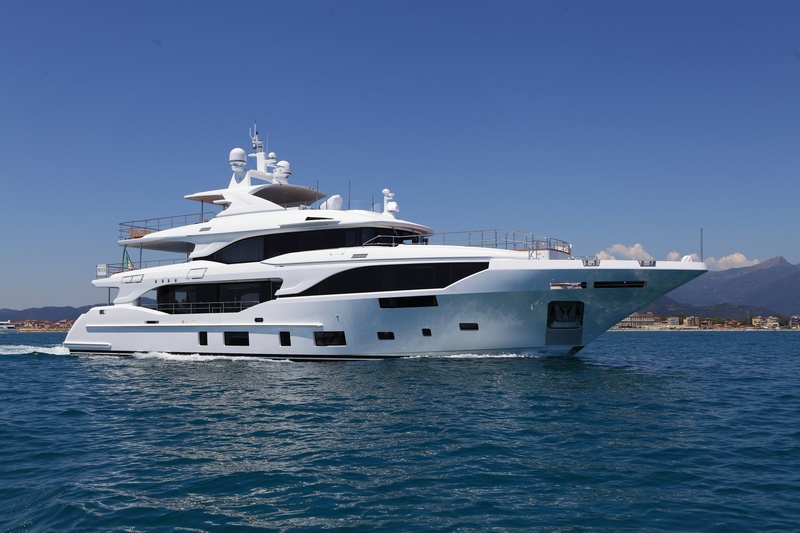 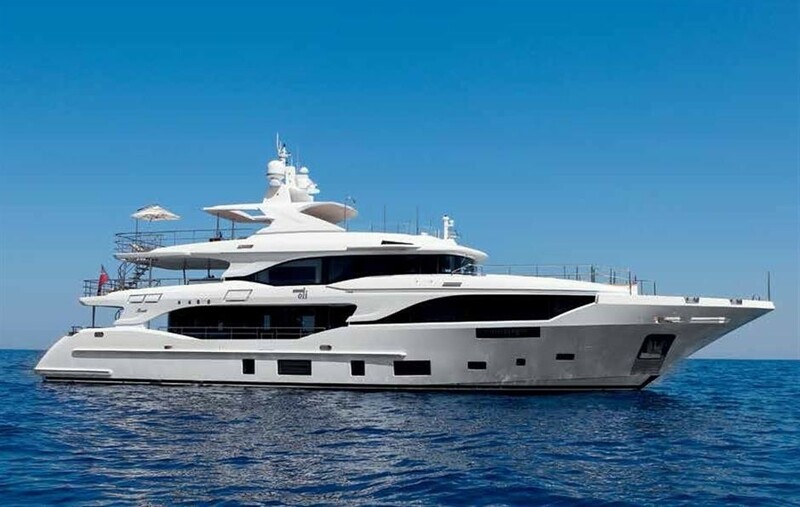 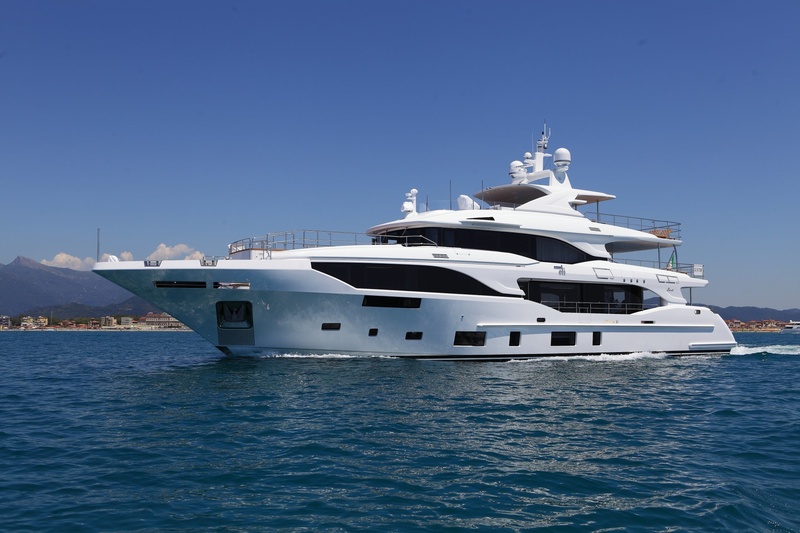 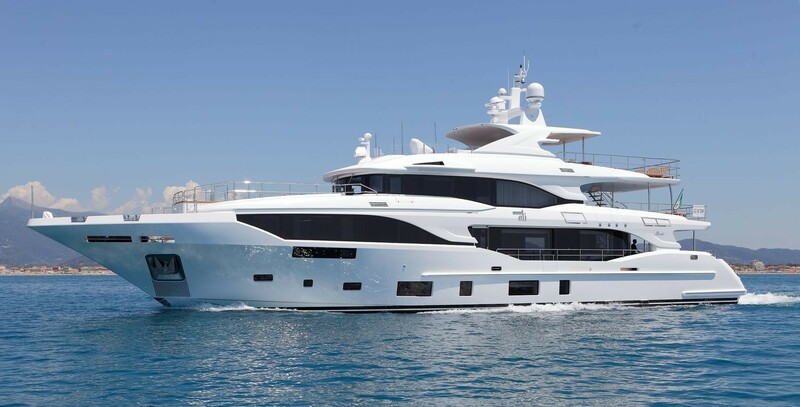 Benetti 116’ Mediterraneo M/Y Oli – Owner’s statement. 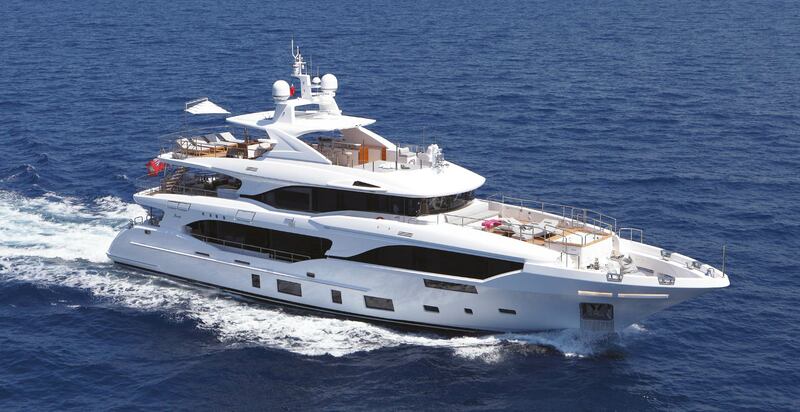 When I decided to replace my previous yacht, I went to Benetti with a very clear mind. 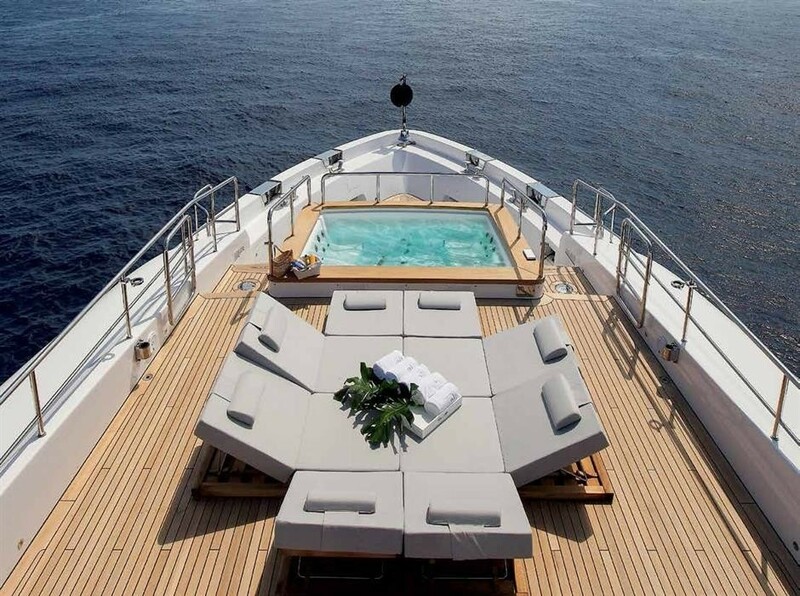 My new yacht had to be a place where to spend memorable moments with my wife and children. 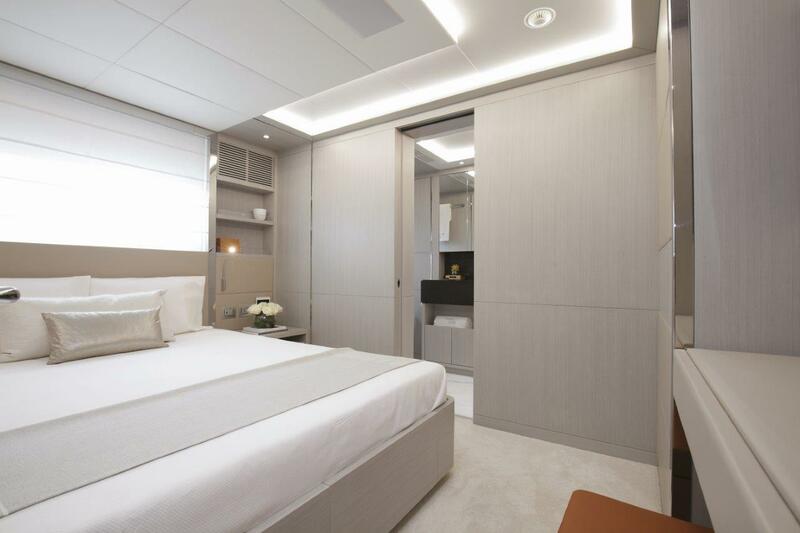 So, such place had to be modern and cosy, reflecting my family attitude which is young and pretty dynamic. 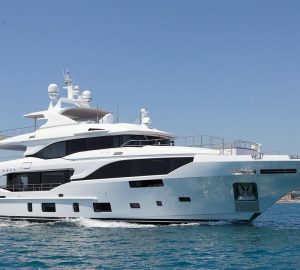 This yacht should sail both the Mediterranean and the Caribbean seas, and should provide a high level of service on board while being easily manageable. 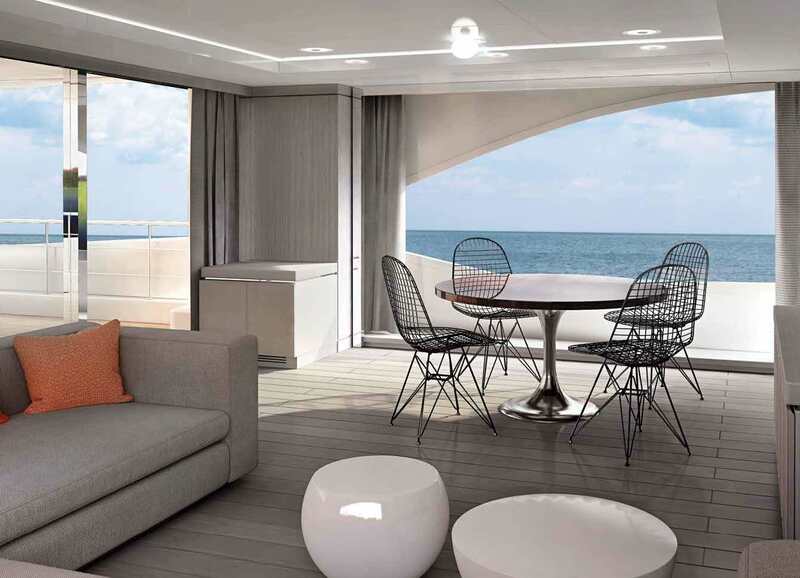 I wanted to enjoy large external areas and light filled interiors, with a seamless connection between outdoor and indoor. I also wanted to have a yacht with a classic and elegant look, without giving up too much to modern fads, still integrating modern features and details. 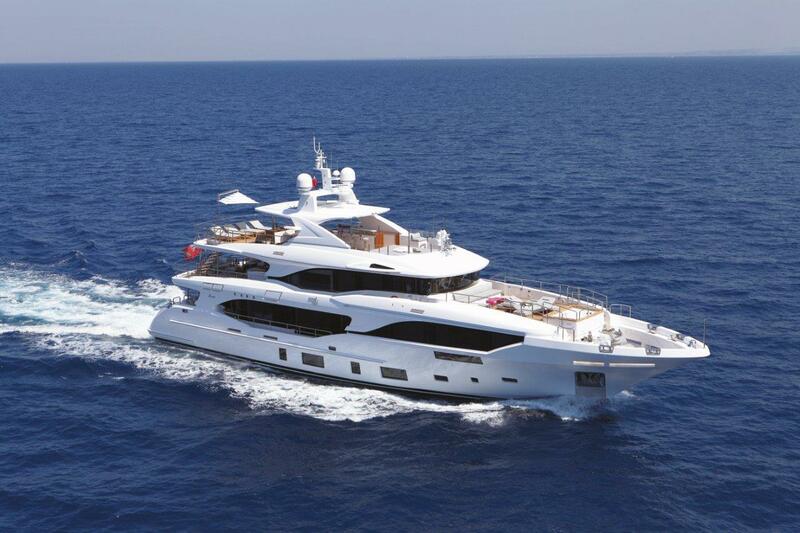 Accommodation on board Benetti 116' yacht OLI is provided in five luxurious cabins to ten guests in total. 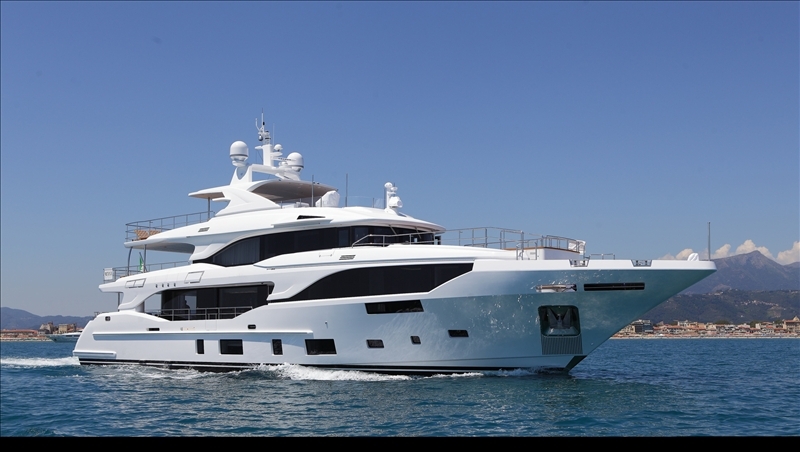 We do have available further amenity, owner and price information for the 35.5m (116'6") yacht OLI, so please enquire for more information.